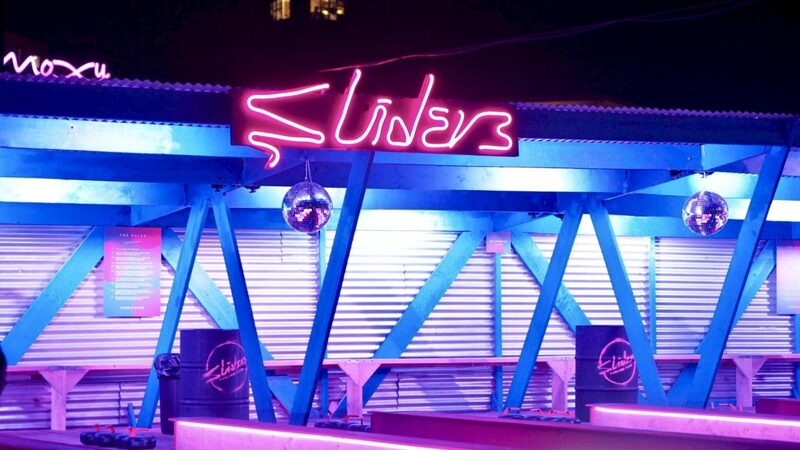 After having such a blast the last time I went to Roof East for the Rooftop Cinema Club, when Sliders was mentioned I was wondering why I’d left it so long to visit again. Truth be told, most likely as it’s the other end of London to me. Lazy, I know. But I was excited for a return journey. 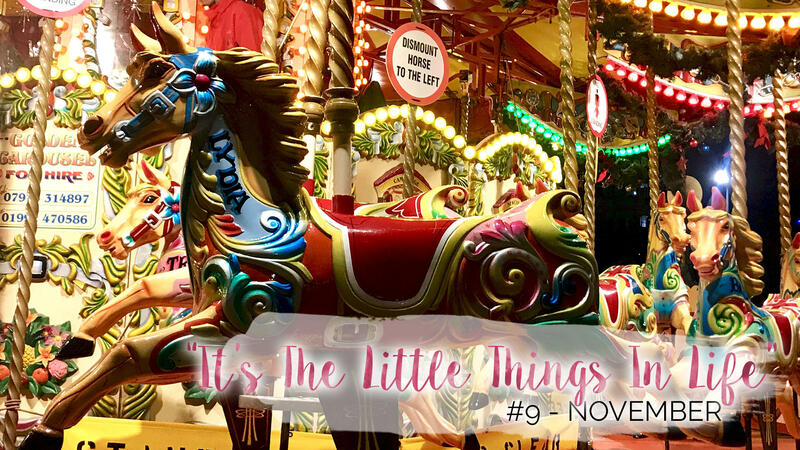 This time, rather than being home to the cinema screen, there was a selection of igloos,some street food style venders, ski lodge bar and of course, the neon branded six curling lanes. So, What Even Is Curling?! Which, to be fair, was my question too. My first thoughts went to the winter olympics, someone with a broom and ice. My second went to how I could be trusted to throw things on said ice. Thankfully, there’s no ice. Sliders have set up a theirs with synthetic ice and while you’re not aloud to step on it does make it a lot more weather friendly. 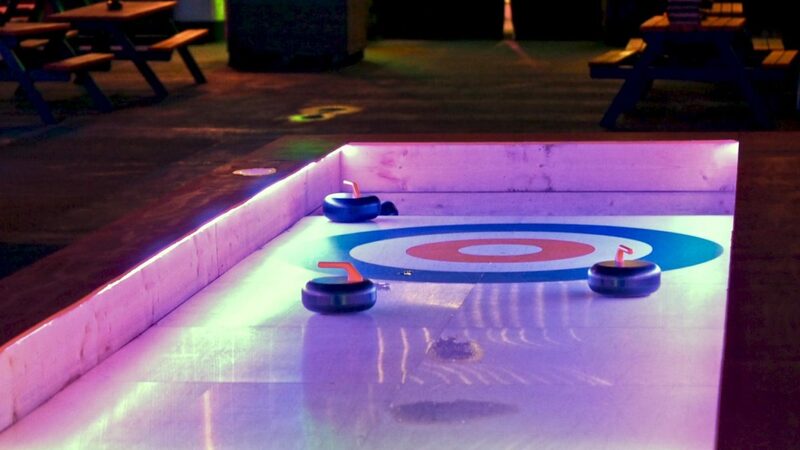 The aim of the game is deceptively simple, you work in teams and glide your stones along the ice and try and land it as close to or in the central square. The tough bit not only being the throw but that your opponents can knock you out of place. So, safe to say as a lot of us are sales people; it got real competitive real fast! 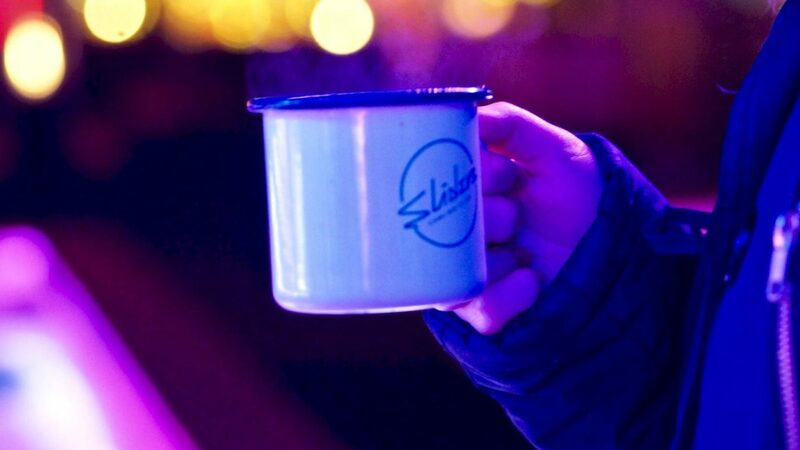 With some egos bruised we tucked in to some warm mulled wine at our lanes. Sliders sells this either by the glass or by the flask. With the flask, you’ll get a selection of these cute tin cups to drink out of. And, well, you know I’m a sucker for an instagramable drink. 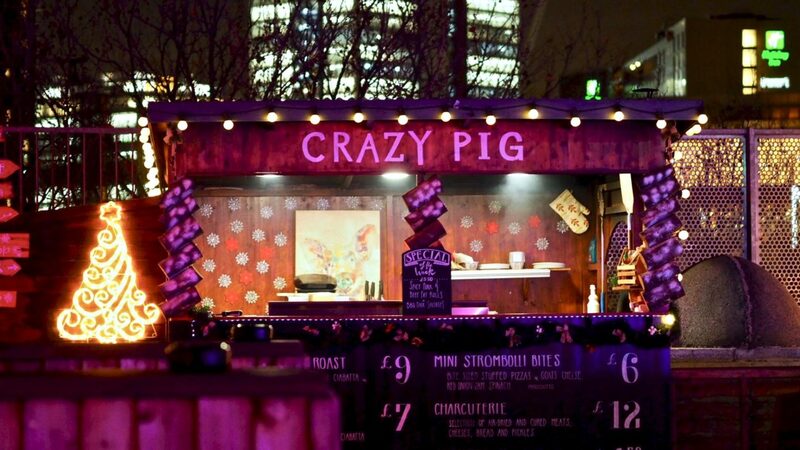 Finishing off with food from Crazy Pig and Jimmy’s Lodge and a few more drinks, all in all a fabulous, wintery evening. 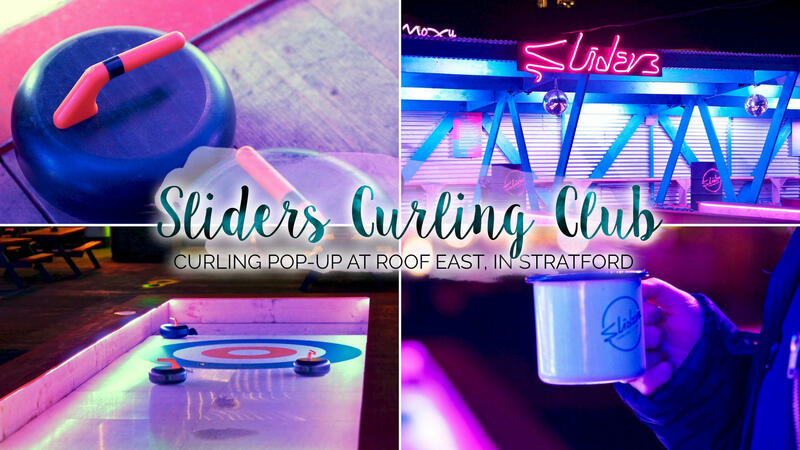 Have you tried curling before? Or took a trip to Roof East? What did you think?